Ratatouille is a French Provençal dish made from stewed vegetables. The dish is versatile and can be served with rice, potatoes, baguettes, or itself can be a side dish. Its main basic ingredients consist of eggplant (aubergine), tomatoes, onions, bell peppers, and zucchini (courgettes). The name of the dish derives from the French touiller, which means to stir, although the root of the first element, rata, is slang from the French Army, which means chunky stew. The title of the movie is somewhat a play on words, since the first three letters are R-A-T, spelling out the word "rat," which, of course, makes a reference to the main character, Remy. What does saffron look like? 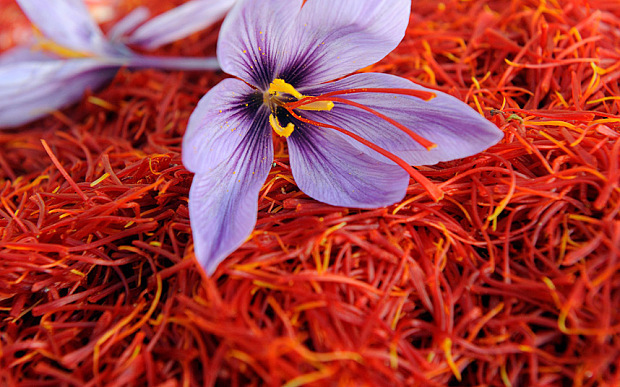 Saffron in its natural form consists of bright orange-red filaments, the thread-like stigma of the flower of the saffron crocus. Saffron turns yellow when cooked. A simple image search for saffron will show that the artists at Pixar nailed its look perfectly. Sweetbreads are an organ meat that is actually the thymus gland of young cattle, which disappears as they become adults, and the meat of these animals is called veal. However, after patrons order them, Colette asks if veal stomach is soaking. The stomach is the organ meat known as tripe, of which there are several varieties besides veal tripe, which include beef tripe, pig tripe, and fish tripe. Why and how does the spirit of Gusteau appear to Remy? Remy's age is never mentioned and the movie takes place two years after Gusteau died. Some viewers say that the final conversation between them in the car is meant to suggest that Remy is Gusteau reincarnated and that's why he has his talent for cooking. Others interpret it as Remy's extremely imaginative mind expressing itself through a representation of his cooking hero whom he watched on the TV at the farm. Why was Chef Skinner trying to defame Linguini? Chef Skinner was in the midst of starting new businesses that sold fast foods. He would publicize these businesses by using the face of Gusteau which would maximize profits because Gusteau was famous for being such a great chef. When Linguini started to cook, the restaurant was getting more attention than ever, but it was over Linguini's face. This meant that Gusteau's face was becoming less and less famous and Chef Skinner would not be able to run a business with his face if no one knew it. Skinner attempted to defame Linguini and publicize Gusteau's face again by trying to make him cook a disgusting food. When Remy is climbing out of the sewers for the first time, he is barked at by a dog in one of the homes. You only see the dog's silhouette, but it is actually the dog, Dug, from Pixar's then still-in-production film, Up (2009). Pet rats were kept at the studio in the hallway for more than a year so that the animators could study the movement of their fur, noses, ears, paws and tails. To find out how to animate the scene where the Head Chef is wet, they actually dressed someone in a chef suit, and put him in a swimming pool to see which parts of the suit stuck to his body, and which parts you could see through. In France, where the film is set, the film broke the record for the biggest debut for an animated film. SERIES TRADEMARK: Nearly every Pixar film shows the Pizza Planet Truck from Toy Story (1995). The truck appears on the bridge over the Seine on the scene where Skinner chases Remy. The room that Anton Ego writes his review in is shaped like a coffin; in addition the back of his typewriter resembles a skull face - appropriate, because he writes "killer" reviews. Gusteau's first and last names ("Auguste Gusteau") are anagrams of each other. Marketing tie-ins proved to be problematic for the film as no food product company wanted to be associated with a rat. Chef and TV personality Anthony Bourdain's favorite food-centric film. Bourdain said, "They got the food, the reactions to food, and tiny details to food really right - down to the barely noticeable pink burns on one of the character's forearms. I really thought it captured a passionate love of food in a way that very few other films have." Remy has 1.15 million hairs rendered, whereas Colette has 115,000 hairs rendered. An average person has about 110,000 hairs. Veteran Disney animator, Victor Haboush, who worked on Sleeping Beauty (1959), Lady and the Tramp (1955) and 101 Dalmatians (1961), called this film "the best animated film since Pinocchio (1940)". The changes that Brad Bird brought to Jan Pinkava's original story were that he killed off Gusteau, gave larger roles to Skinner and Colette and also redesigned the rats to make them look a bit more like rats. The final Pixar movie to use the customized Walt Disney Pictures logo that debuted in Toy Story (1995). Walt Disney Pictures were reluctant to push Ratatouille (2007) as a nominee for Best Picture at the Academy Awards, fearing that members might overlook it in the Best Animated Feature category where it was deemed to be a lock. Instead, they concentrated their efforts on making sure it won in the animated category. The animation team worked alongside chef Thomas Keller at his restaurant French Laundry in order to learn the art of cooking. Mr. Keller also appears in a cameo role as the voice of a patron at Gusteau's. At 1:16:29 as Linguini & Colette roller skate down the sidewalk, a Mime is performing for some people. The CG Model for the Mime is the same model used in The Incredibles for the character Bomb Voyage! The ratatouille dish prepared by Remy is the alternate variation called confit byaldi. 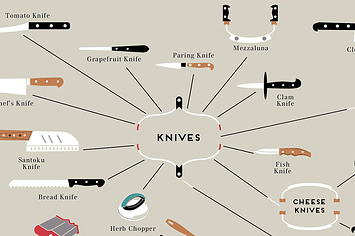 It was adapted by film consultant Thomas Keller. This variation differs much from the conventional ratatouille in terms of preparation and method. The major difference is that the vegetables used are sliced thinly and baked instead of cooking them in the pot. To save time and memory when animating the movie, human characters were designed and animated without toes. Worried that the general public wouldn't know how to pronounce the title, Disney/ Pixar had it spelled phonetically on all the posters and trailers. Wherever possible, Brad Bird had mainly female animators working on the character of Colette. Several changes to the design of the rats (primarily the nose and ears) were made after Debbie Ducommun, a rat expert, brought down several of her personal pets for the art and animation departments to observe. Brad Bird cast Patton Oswalt in the main role after hearing his stand-up routine about the menu at the Black Angus Steakhouse. The window shop displaying dead rats actually exists. It is the window of Destruction des Animaux Nuisibles, an exterminator established since 1872, located 8 rue des Halles in the first arrondissement. To create a realistic-looking compost pile, artists photographed and researched the way real produce rots. Fifteen different kinds of produce were left to rot and then photographed, such as apples, berries, bananas, mushrooms, oranges, broccoli, and lettuce. SERIES TRADEMARK: Every PIXAR film has had a reference to room A-113 from the California Institute of the Arts. A number of animators began their CalArts career in this room, including John Lasseter and Brad Bird. A-113 appears on a little tag clipped to the ear of a rat named Git. Part of the story was initially supposed to take place in the catacombs below Paris. This idea was dropped when Brad Bird took over the project from Jan Pinkava. Only short sections taking place in the sewers remain from the original project. Storyboard and animator Peter Sohn was cast on the spot for the role of Emile when director Brad Bird accidentally found out that his demeanor and voice were exactly like the character description of Emile. SERIES TRADEMARK: John Ratzenberger (Mustafa) once again provides a voice in a Pixar film (the only actor do so in every Pixar film). It's also noted that this is the second time Ratzenberger has voiced a human, after The Underminer, in The Incredibles (2004). Before, he has voiced a piggy bank in Toy Story (1995) and Toy Story 2 (1999); a flea in A Bug's Life (1998); The Abominable Snowman in Monsters, Inc. (2001); a school of fish in Finding Nemo (2003); and a Mack truck in Cars (2006). It is also the first Pixar film in which Ratzenberger's character has a different accent from the actor's own. Brad Bird, producer Brad Lewis and some of the crew went to Paris for a week to get the feel of the city. They took a motorcycle tour around the capital and ate at its five top restaurants. The concept was first hatched by Jan Pinkava in 2001 and he had mapped out the original design, sets, characters and core story. However, Pixar management were not convinced that the main story was delivering the goods so Pinkava was replaced by Brad Bird in 2005. The wine ordered by Anton Ego, Chateau Cheval Blanc 1947, is a real wine, a Grand Cru Bordeaux blend from the St Emilion region and an excellent vintage as well. Bottles stored properly should be in their prime drinking window as late as 2050. A bottle ordered in a restaurant would probably be priced in excess of $2,000 (in 2012 US dollars). Until the advent of WALL·E (2008) the following year, Ratatouille (2007) held the most Oscar nods for a computer-animated film, with a total of five nominations. Disney and Pixar were planning to bring a French-produced Ratatouille-branded wine to Costco stores. That was until the California Wine Institute complained, suggesting that a wine sporting cartoon characters would only encourage under-age drinking. Linguini's little apartment is located in the Montmartre section of Paris. In one of the earlier scenes, an eccentric red-haired woman fires a shot gun at two rodents, Remy and his brother Emile; this mimics a scene in a classic Disney film The Rescuers (1977) in which red-haired villainess Madame Medusa fires her shotgun maniacally in an attempt to rid herself of mouse protagonists Miss Bianca and Bernard. 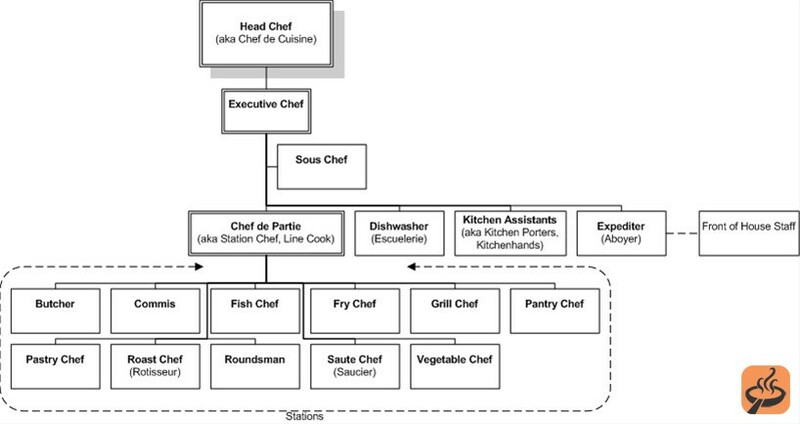 Auguste Gusteau's surname is a pun on "gustation", the technical term for the sense of taste. Auguste plays on the adjective "august" meaning impressive, lordly, authoritative ... and perhaps a kindly reference to his size. When Ego, the food critic, reads back his first scathing review, he compares Gusteau to Chef Boyardee, who was in fact a real chef (true Italian name spelled Boiardi) famous for his brand of food products. Jan Pinkava's involvement in the film ended after a few years when John Lasseter decided that the leadership and vision required to helm a full-length animated feature were simply not there. Brad Bird, who had just finished The Incredibles (2004) was asked to help out whenever he inundated Lasseter with appealing story ideas for the project. Eventually, he was given the reins, while Pinkava left the company. The French waiter in the trailer talking about the cheeses is voiced by the film's director, Brad Bird. Colette says that the Sous Chef, Horst, has been in prison, which is why he is so rough. Actually, French prisons are considered the toughest in the world. Horst's mannerisms are perfect for his experiences. Linguini's full name is Alfredo Linguini. Alfredo is a pasta sauce often served over fettuccine, named after its inventor, Italian chef Alfredo di Lelio. Linguini (also spelled Linguine) is a form of long, narrow, flat pasta, similar to spaghetti. Debuted at #1 in the US charts with $47 million, the lowest figure for a Pixar movie since A Bug's Life (1998). This is the first Disney/Pixar film to actually be produced by Disney after Disney bought Pixar for $8.4 billion. During the character design process, the sculptor created nine handmade clay sculpts of the film's protagonist, Remy. Six of those sculpts were different design explorations. The last three were different poses of the final design. Remy's father, Django (voiced by Brian Dennehy), was named in homage to Django Reinhardt (1910-1953), the famous Belgian Romany jazz guitarist. In the Pixar short Your Friend the Rat (2007), an extra on the Ratatouille (2007) DVD, a Django Reinhardt stamp is visible in the background. Django, however, is never once addressed by name. Some of the scenes in the movie were rendered based on the rehearsal demo footage performed by Lou Romano (Linguini) and shot by DP Robert Anderson with Brad Bird supervising. An example from that has Romano taking his bicycle inside his house. Composer Michael Giacchino happened to score the short film that preceded Ratatouille (2007) in theaters, Lifted (2006). With Joe Ranft passing away during the Production of Cars (2006), this makes Ratatouille the first Pixar film not to have any characters voiced by him. Skinner's car is an early 1960s Facel Vega HK 500. Facel Vega was an extremely obscure French marque built in tiny numbers at extraordinary cost for the very cream of society and glitterati for only 10 years between '54 and '64. Equivalent to somewhere between a Bentley and an Aston Martin, they were looked down upon by some for having a Chrysler V8 engine, but the eventual cost of designing their own engine pretty much destroyed the company. Arguably the most stylish car of all time. In the Spanish version, the famous Catalan chef Ferran Adrià voices a French client. John Ratzenberger's role as Mustafa the Waiter has been one of his least recognizable of all the Pixar roles he's had, due to having a French accent. Michael Warch, the manager of sets and layout, holds a culinary degree. As of January 2008, the film had grossed in excess of $206,000,000 in North America and a total over $620,000,000 worldwide, making it the third highest grossing Pixar film up to that point, just behind Finding Nemo (2003) and The Incredibles (2004). The brand of motorcycle that Colette rides, as evidenced by the logo on the gas tank, is Calamari - in reference to a dish made from squid, or the Italian word for squid. A "squid" is a term for a rider of sport motorcycles, usually young men, who relish emulating famous racers on public highways, and quite often have battle scars on both their bodies and on their bikes. It originally was a derogatory term, but now squids proudly wear the label. "Team Calamari" is often seen on bumper stickers and t-shirts, often accompanied by wild Ed "Big Daddy" Roth style caricatures. Colette's bike itself is styled after a Ducati (an Italian make) Hailwood Replica. Pixar's 8th feature length film. Michael Hung (the menu chef of this film) competed on an episode of the Food Network series, Guy's Grocery Games that aired on May 3, 2015. Colonel Rémy was the nom-de-guerre of Gilbert Renault, a hero of the French Resistance during WWII. In April 2016, Ireland's RTE One HD, showed an academy ratio pan and scan 12:9 version of this movie, for no apparent reason, resulting in side bars, and sliding in certain shots. Spoilers The trivia items below may give away important plot points. Linguini and (the ghost of) Gusteau both learn that Linguini is Gusteau's son born out of wedlock. This makes this the first Disney full-length animated motion picture to feature a main character of "illegitimate" parentage: all prior main characters were either orphaned, had both parents married and living, or had one living widowed parent. Hidden Mickey: At the last scene in the film as Ego asks Remy to surprise him for dessert, three pans behind Remy in the kitchen form a hidden Mickey. The bad guy in this movie is the Head Chef, Skinner, voiced by Ian Holm who tries to put Remy in a box. The character was named after behavioral psychologist B.F. Skinner, who was known for the Skinner Box, where rats were placed and trained to push a button for food. The Film's Director Brad Bird provided the voice of Ambrister's Minion.